If you have been following my Tweets recently, you may have noticed that @CutestKidEver and I are up to something. The two of us have been working on a big project for quite a while now. We figured that it was time to have a blogging conference in the Northeast. Sure, BlogHer is in NYC this year, but typically it moves from place to place. We wanted to offer something that would be easier for people that lived within our region of the country to have a chance at something in driving distance. In addition to this, Christina and I wanted it to be budget friendly for people further away to come. Would you be interested in a blogging conference in July? Let us know things you would like included in a conference. At this point, we believe we are talking about July 9-11 and it would be in the area close to the Albany Airport in New York State. We are working on a package deal that would include lodging, meals and the conference itself. Transportation would be the only additional item you would need. Many items are in swing in this area during the summer, so you could even make a mini-family vacation to locations like Saratoga, Lake George and beyond! So excited to finally let the cat partially out of the bag. I hope to see you this summer! Please be sure to check out my mirra products, Cook’s Ham $30 for Easter, and Dove Men+Care giveaways. Stay tuned because more will be coming very soon. .-= Upstatemomof3´s last blog ..Sometimes You Miss The Obvious =-. .-= Simply Cathi´s last blog ..Aloha Friday – Spring Break =-. No, but I am not interested in blogging conferences regardless where they are held, making me the wrong person to ask. .-= Jennifer´s last blog ..Book Tour and Review: The Girl Who Chased the Moon =-. I have no idea what to expect at a conference and I don’t think I’ll be going to one any time soon unless I get a paid job, so I am kinda clueless on this. Here’s My Aloha Friday entry by the way. Aloha! .-= Cacai M.´s last blog ..My Thursday 13 #3 — 13 Random Thoughts =-. Sound great I would love to come. Use to live in Upstate and haven’t been back for years. .-= Auntie E´s last blog ..Friday follows & Aloha fridays- Painting =-. Wish I could but, I’m in the Midwest. I’ve never been to a blogging conference. I guess you could say I’m not a real “blogger”. However the people I know that attend conferences seem to really enjoy them. Happy Friday! 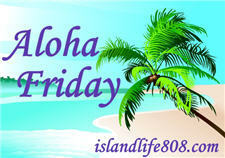 .-= Jeremy´s last blog ..Aloha Friday – March 26th =-. That would be close enough to me, but money is tight. If I had a sponsor, I’d so be there. I’m not going to New York any time soon so I’m also the wrong person to ask. Sorry. I am not in the area so I can’t go myself. Go for it and hope it is a success! .-= Steph´s last blog ..Way Back When-esday: Swings and Giggles =-. I, too, haven’t been to a blogging conference and I don’t think it would be appropriate to fly cross country to go to my first one, lol. I live in Oregon. That would be a LONG flight for my first time, ha ha! I am not sure exactly what this conference is about and who would be there as far as company connections to help enhance my relationships or build new one’s. Blogher is there in Aug and I’m trying to make that one. BUT my finances and family obligations won’t let me make both. If I make any at all. Wish it was here in Chicago then I wouldn’t have to leave my family for that long and it won’t cost me as much. .-= Night Owl Mama´s last blog ..Marshalls: Spring Designer Fashions At Affordable Prices =-. Sounds like a good idea, but I’m not in the area so I wouldn’t be able to make it. .-= 3 Cuzins @ Cuzinlogic´s last blog ..Aloha Friday #7/Friday Follow #5 =-. Wow, it’s for real! Good luck and send me your sponsor kit when it’s put together! .-= kim/hormone-colored days´s last blog ..Win a Dyson Toy Vac =-. Would love to but already have a craft fair (I make handmade vegan soaps) scheduled for that weekend! Darn! I’d love to attend, but I’ll be heading to Florida that weekend. Darn! .-= Albany Kid´s last blog ..Free or Cheap Albany Kid’s Events April 12-18, 2010: D.E.A.R. Day and National Environmental Education Week =-.